Improving the look of your home can be achieved by updating the siding that is installed on your home. However, just because your home looks better doesn’t mean you’ll get the same amount of protection that your home’s old siding was giving. What’s even worse is that you may not get the energy efficiency of the old siding either making the project a bad idea. There are some things you’ll need to consider when getting new siding in Downriver Michigan no matter what type of siding is being installed. Make sure you follow these tips to get the most out of your siding project in Downriver Michigan. Sometimes home owners can feel overwhelmed at the choices and factors that come into play when getting new siding installed on their homes. Understanding more about the siding can help but you’ll also want to consider the following facts to ensure the siding you have installed on your home not only improves it’s appearance but the home’s value overall. What Type of Siding Should You Install? Today, there are many different types of siding that you can install on your home. You can even change the siding that is currently installed on your home to a different material. 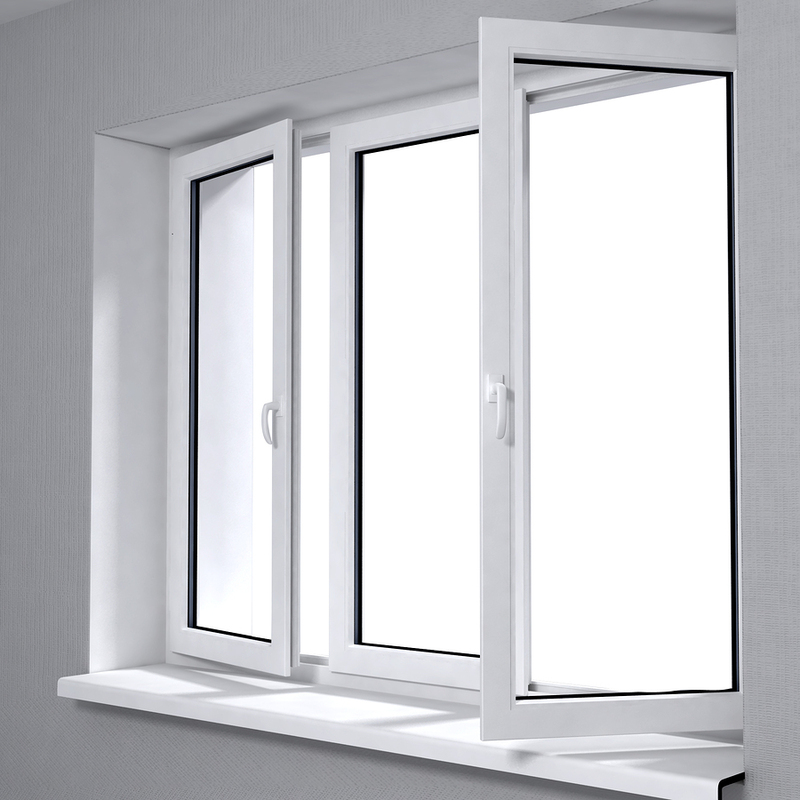 For instance, if you currently have wooden siding you can install vinyl siding, or fiber cement siding. There are many choices when it comes to siding and each will have their own set of advantages and disadvantages. Be sure to talk with your siding contractor in Downriver Michigan about the siding choices available for your home. Is the Siding Energy Efficient? In today’s world of home improvements it’s all about the energy efficiency. Installing new siding can help improve your home’s overall energy efficiency if it’s installed with the proper siding insulation. Some types of siding are also more energy efficient as well. Talk with your contractor about siding insulation and the types of siding that can improve energy efficiency for your home. You’ll also want to ensure the siding installed is Energy Star compliant. What is the Warranty on the Siding? It’s difficult for a home owner to determine the quality of the siding that is being installed on their homes. After all, the difference between high quality siding and low quality siding may be measured in thousandths of an inch. One thing you can determine is how long the warranty is and how much the warranty covers. Better quality siding will have better and longer warranties. Make sure to inquire about the warranty of the siding that is being installed on your home. Better quality siding will have better and longer warranties. Make sure to inquire about the warranty of the siding that is being installed on your home. Like I mentioned above there are many different types of siding that you can choose from today. Although all can be great choices and give your home an amazing look they may have maintenance requirements that can drive up the costs of the siding for years to come. Be sure to learn what the maintenance requirements for the siding you’re considering for your home is. This should factor into the overall cost of the siding over it’s lifespan. Each type of siding that is available today must be installed correctly in order to protect your home. 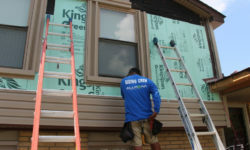 There are many siding projects that are done each year in Michigan that simply aren’t correct and end up costing the home owner more and more as time goes on. Sometimes problems with improperly installed siding don’t show up until months later. Always use a professional licensed siding contractor in Downriver Michigan to install the siding on your home. This can also ensure that the warranty on the siding will remain in place. 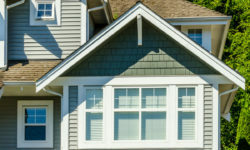 Improper installation of the siding is one way to have the warranty on your siding voided. 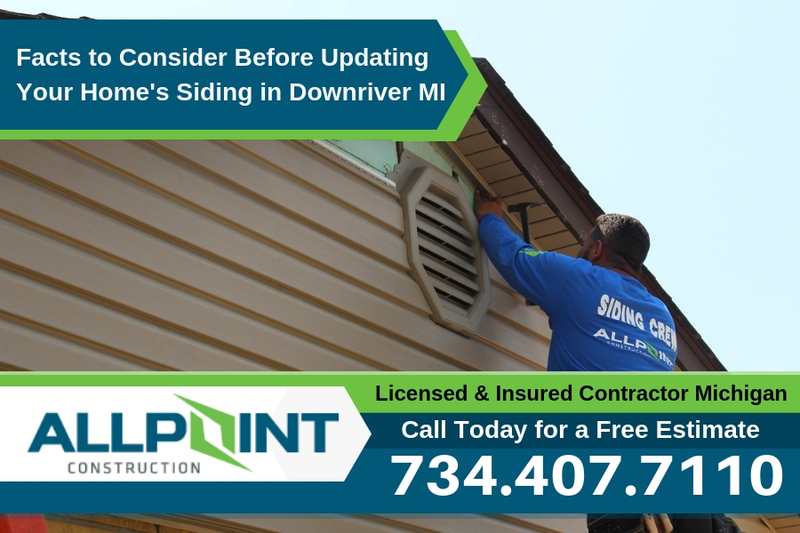 Curious about getting new siding installed on your Downriver Michigan home? Be sure to call the experts at All Point Construction today at 734-407-7110 for information and a free, no obligation quote on new siding installation on your home. They are a fully licensed and insured home improvement contractor in the Downriver Michigan area. PrevIs it Time for a Kitchen Remodeling Project in Southgate Michigan?